Undone: An Unraveling Novella - Lis Les Livres- Read Books! 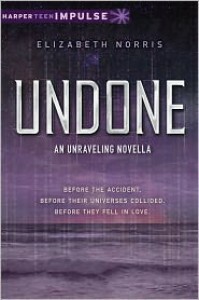 http://lisleslivres.blogspot.com/2013/03/review-undone-by-elizabeth-norris.htmlHonestly, I don't care too much for the first two stories. I love Ben, but he sounded like a smitten teenager. Well he is a teenager can't deny that but he sounded kind of crazy, being in love with a girl he had never spoken to before. With Ben, it was more than an infatuation His feelings weren't a crush. It's really sweet that Janelle saved him when they were younger, but if you've never interacted with someone, how can you love them or expect them to love you? Some might even call his watching her a teensy bit stalkerish. But I still love Ben and am glad Janelle got to meet him and end up truly loving him. The final story, however, was great!!!!! 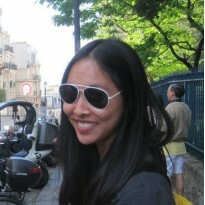 It takes place after Ben has left Janelle. He finally returns to his birth place, reuniting with his family. Personally, I can't imagine what that feeling would be like, to finally see your son after years of him missing, possibly thinking he was dead. And to think that real people may have to experience this because of crazy people abducting children and such. Anyway, the novella overlaps with Unbreakable, and there is a massive cliffhanger!!!!! Grr, I can't wait until it comes out.Also, there is a two chapter teaser of Unbreakable at the end of this. Of course, Elizabeth did it to us again!! Cliffhanger...P.S. Did anyone else find it strange that the novella cost money? I did. They're almost always free on the author's website. Only $1.99, but still weird!Would I recommend it? Yeah, the first two stories weren't absolutely terrible. And the last one makes up for it.